Here is the promotional video and a tutorial on who to use this plug-in. splitEnhancer makes your tracks sound better. Use it on basses, pianos, vocals, strings, synths, etc. Trough it to any track and it will make it sound great. Use it on your mix or master track to enhance your overall mix. This plugin is designed to give you rich audio with only 2 knobs. What this audio effect requires and it's description. When you purchase this product you will get lifetime updates. Every update in the future will be free! This product requires at least 20MB of free disk space. It is recommended 4GB of RAM although the system is designed to have a low RAM usage. 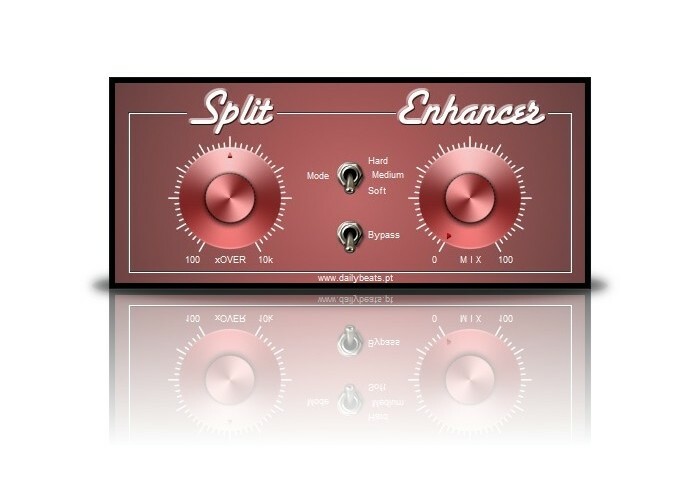 The splitEnhancer Demo version allows you to test our plugin before you buy. The Demo version will insert silence for 10 seconds every minute. Can I use this plug-in in any DAW? Yes, this plug-in can be used with any DAW that supports VST (Win) or AU (Mac) formats! Most modern DAW support these two formats and just to name a few: FL Studio, Ableton Live, Logic, Cubase, etc.